Reventador, a 3562 m high stratovolcano, is one of Ecuador's most active volcanoes. Explosive activity continues. 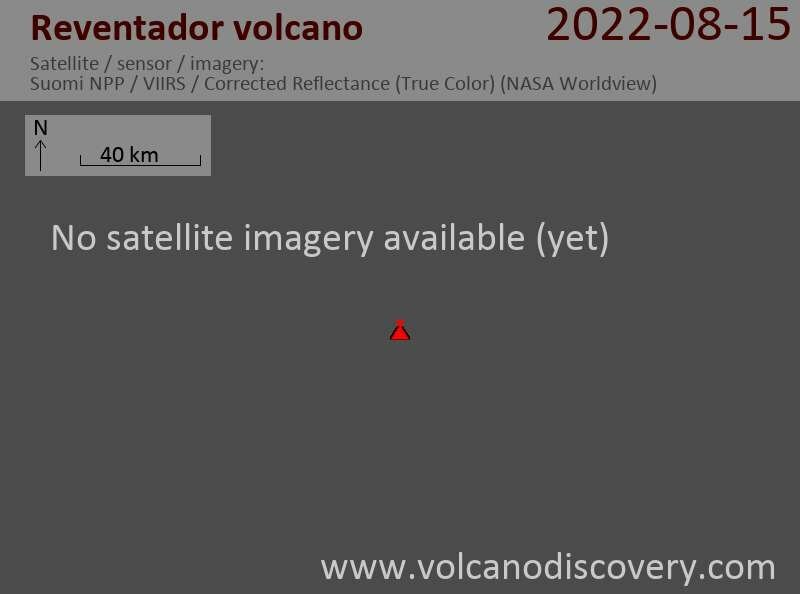 Volcanic Ash Advisory Center (VAAC) Washington warned about a volcanic ash plume that rose up to estimated 17000 ft (5200 m) altitude or flight level 170 . Largest 20 earthquakes past 24 hrs: Our continuously updated worldwide map and list of the most recent largest earthquakes in the world during the past 24 hours. You can also find top 20 lists for given past days / months / years from the archive. "I felt it" reports : Read how people experienced recent earthquakes.